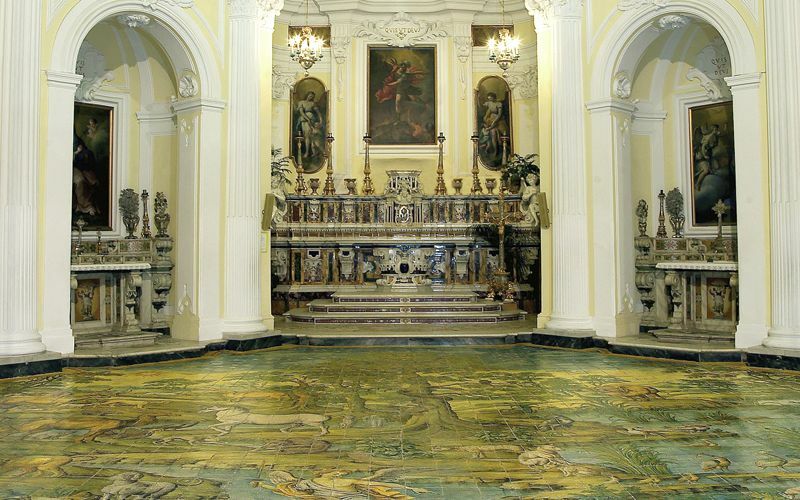 On the Island of Capri, in addition to the breathtaking scenery and the glamorous boutiques, there are a number of excellent small museums, interesting both for their collections and for their settings in churches or historical residences which were often once the island homes of famed artists and intellectuals. This itinerary of the museums on the island of Capri begins with Villa San Michele in Anacapri. From Piazza Vittoria, where there is a bus stop for routes from both Capri and Marina Grande, take the grand staircase up and turn left onto Viale Axel Munthe. Along this lane, lush oleander bushes filter the sunlight and the air is infused with scents from the local profume ateliers and "limoncello workshops", and with the multicolored clothing, the polished inlaid wood, and the seashells on display in the tiny shops that sit elbow to elbow, passersby have the impression of passing through a Moroccan bazaar on their way to Villa San Michele. The museum is set in the former residence of the Swedish physician Axel Munthe, who was an enthusiastic collector of archaeological finds, fragments of ruins, architectural elements, and frescoes from Roman, Egyptian, and Etruscan times. 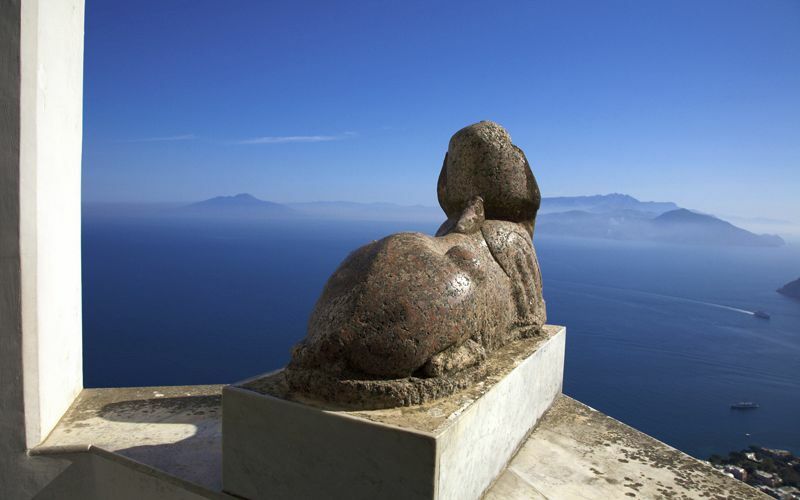 The villa's gardens are also lovely to visit, both for the small botanical garden and for the sweeping view from the overlook guarded by the Egyptian sphynx. 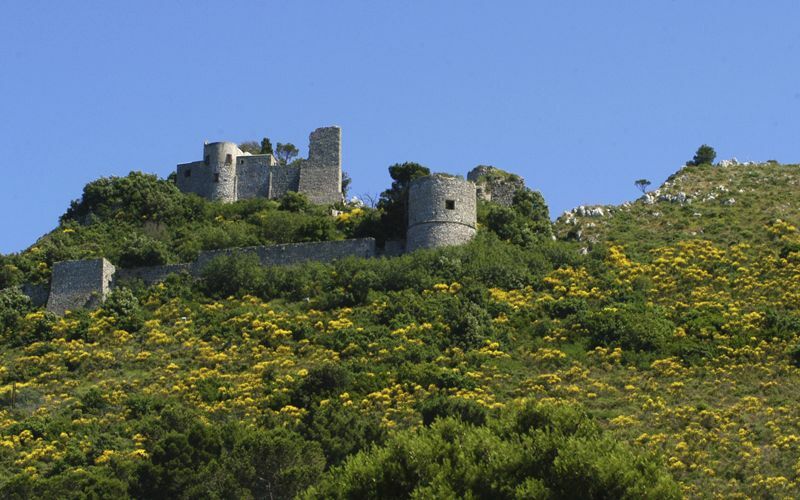 From Villa San Michele, you can see the Castello Barbarossa, a histioric fortification which dates from the era in which Amalfi was an indipendent duchy in the 15th century. Today, the fort is used as a research center for migratory birds, run by the Axel Munthe foundation. 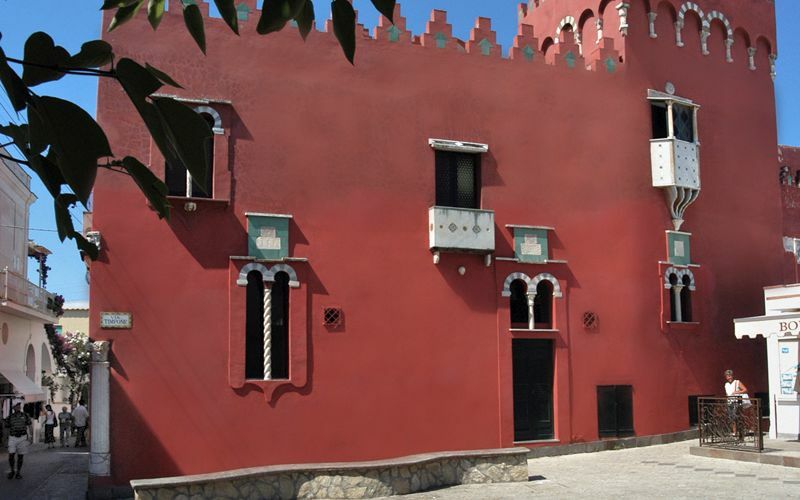 The Barbarossa Castle, named for the pirate pirata Khai-ed-Din who burned it down in 1535, is open to the public all year round and on Thursday afternoons offers guided tours (we suggest getting detailed information on the tour hours at the information offices in the Piazzetta in Capri town or in Piazza Vittoria in Anacapri). 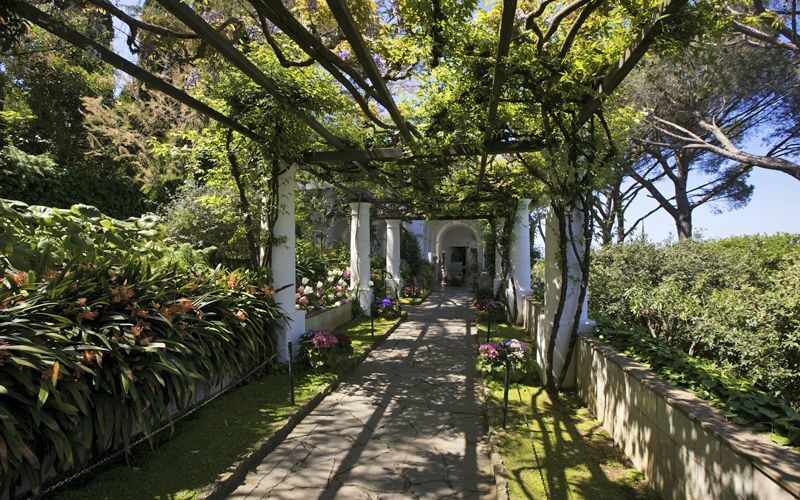 After your visit to Villa San Michele, continue along the tree-lined lane to enjoy the view over the Gulf of Naples and the historic port of Anacapri, where the Phoenian Steps connecting Anacapri to Marina Grande begin. Back at Piazza Vittoria, take the pedestrian lane to the Casa Rossa. This was once the residence of the America colonel John Clay H. Mackowen who, like Axel Munthe, was an avid collecter of archaeological remains found on the island. This building, which combines elements from a variety of architectural styles, is located along Via Giuseppe Orlandi and often hosts art exhibitions and shows during the summer months. For more information, see our section listing events on Capri. 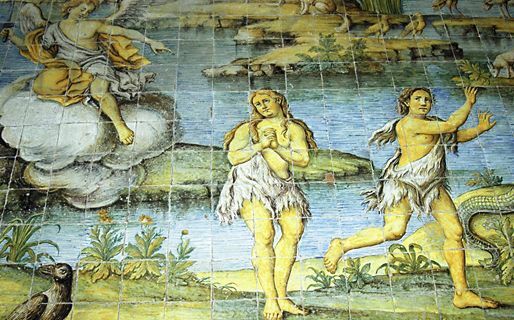 Just past the Casa Rossa along Via Giuseppe Orlandi, but before reaching the Church of Santa Sofia, stop in at the Church of San Michele to admire the breathtaking handpainted majolica floor, which elaborately depicts the expulsion of Adam and Eve from the Garden of Eden. 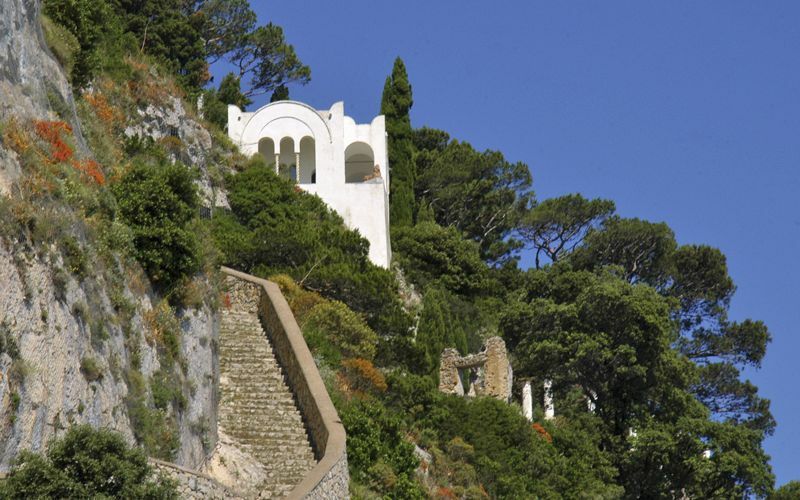 To return to Capri, if you find a long line to board the bus at the Piazza Vittoria stop, walk one stop up the line just a few dozen meters away towards the cemetary, or opt for a taxi. In Capri town, the Centro Caprense Ignazio Cerio is located directly in the Piazzetta. 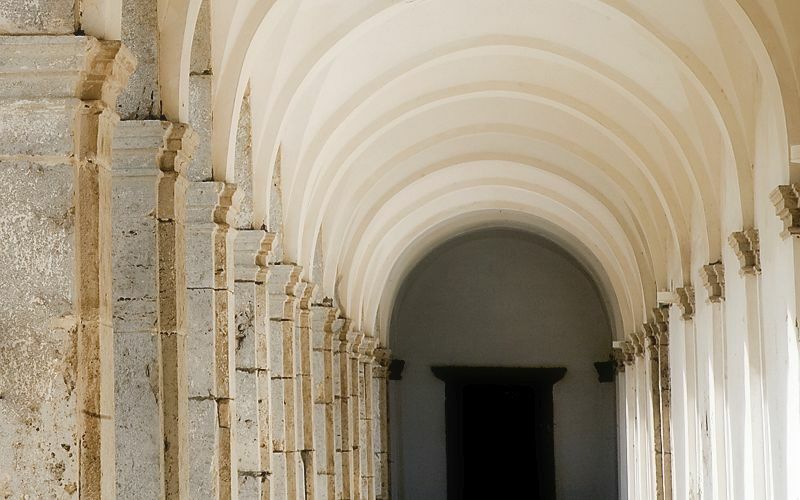 This cultural center has rooms dedicated to the island's botanical, zoological, and archaeological history and patrimony. 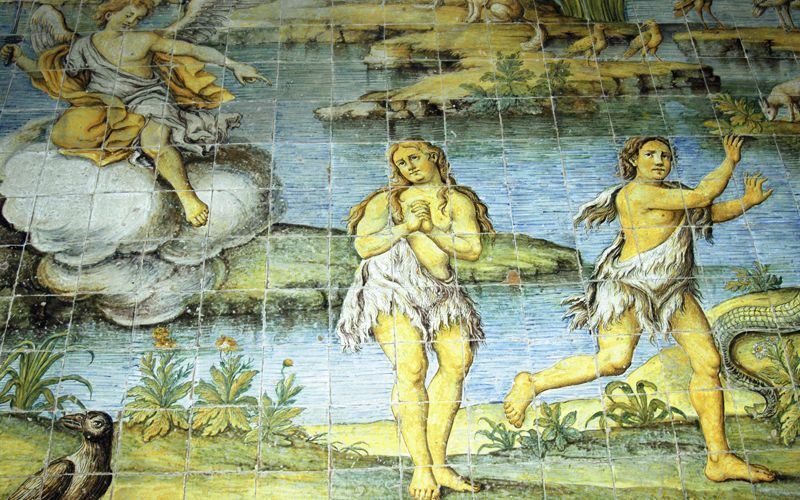 The museum is located across from the former Cathedral of Santo Stefano. 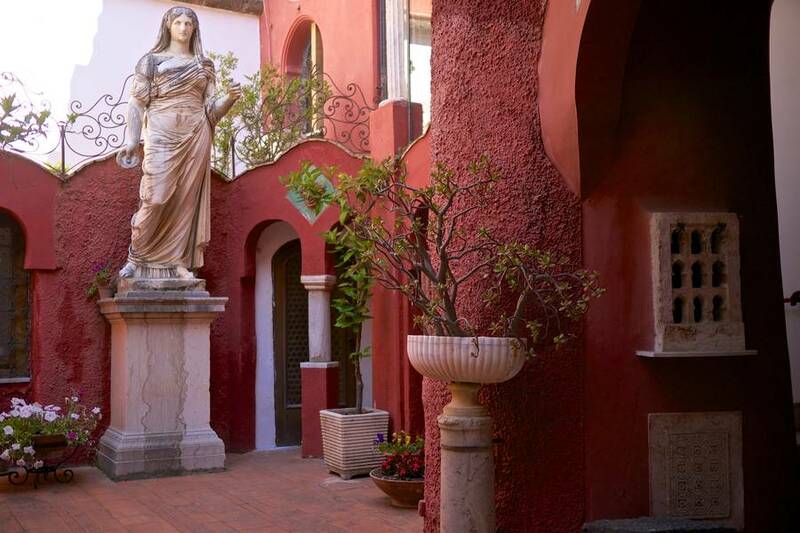 As you wander through the museum, don't forget to take a look out of the building's windows for unusual vantage points and views, especially from the balcony of the second to last room which faces out over the Piazzetta. 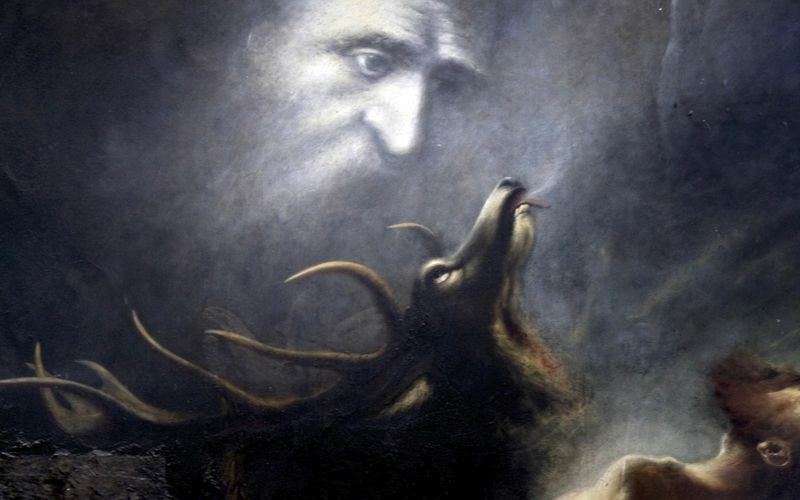 After your visit to the Ignazio Cerio Museum, continue on to the Charterhouse of San Giacomo, with a museum collection and rooms dedicated to the German painter, Karl Wilhelm Diefenbach. To get to the Charterhouse from the Piazzetta, walk down Via Vittorio Emanuele, continuing along Via Federico Serena after passing the Grand Hotel Quisisana. A unique sight: on one of the terraces of the nearby Gardens of Augustus, there is still a marble plaque carved by the Italian artist Giacomo Manzù dedicated to Lenin, one of many Russian exiles who stayed on Capri at the beginning of the 20th century. 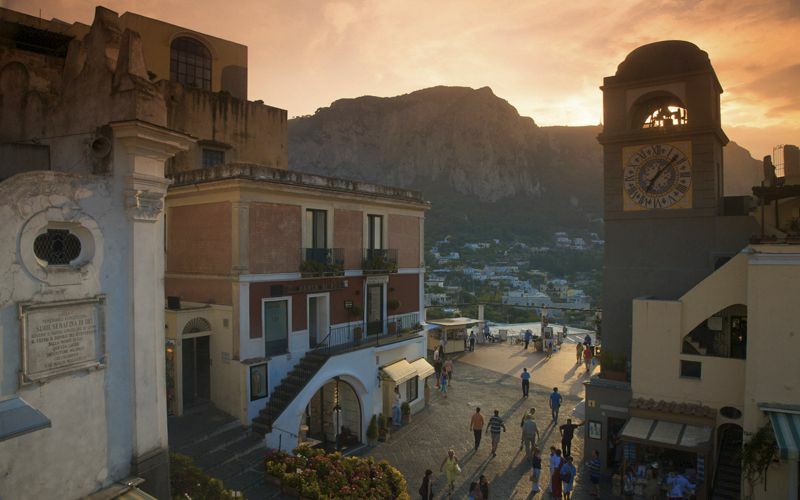 For updated information regarding museum opening hours, we recommend checking with the tourist information office located in the Piazzetta in Capri town at the foot of the clocktower.